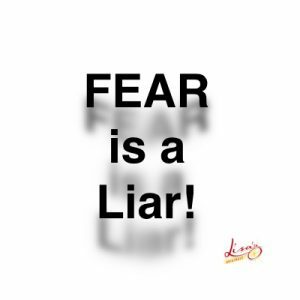 FEAR… Is it hard for you to stand still, to wait, and to know when to move? I think of David and Goliath, and against all odds David was able to throw the rock with velocity to triumph over Goliath. Waiting is one of the hardest things to do, but when we wait we build character, we learn things about ourselves we didn’t know, and we grow patience that brings about a calmness that is indescribable. Today’s society makes us movers, makes us doers, and makes us crazy with busyness! It makes it more difficult to sit and be still, to enjoy laughter between friends, to learn something new, or to be calm and read a stimulating book of knowledge. When we are faced with a new challenge or trying something new, we experience FEAR. Some of us run from fear “to take flight” or to run away from the stimuli that makes us uncomfortable. Rather than feeling the fear, we run away and miss out on growth. 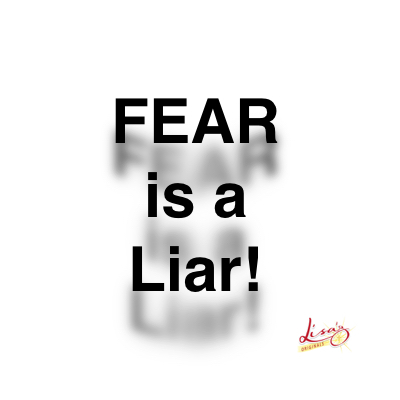 Fear is more of a fantasy appearing real than anything, but fear keeps so many of us down. We may fear we cannot live up to the expectations or that we will fail. The only way to have success is to fail. You can’t taste the sweetness of success until you know the bitterness of failure no matter what you do!